WHERE TO FIND VANA ? Pyramides have always fascinated a lot of civilizations, Egyptians have made them eternal resting place for their kings, Aztecs made them emergency zone for mankind and a way to communicate with their ancestors, Mayas made them temple destined to their divinitys. All off those civilizations believed in the pyramids' power. If we put an object at the center and the two-third of the pyramid's height, it is said that the object will undergo modifications : flowers dry without losing colors, meat toughen without rotting. 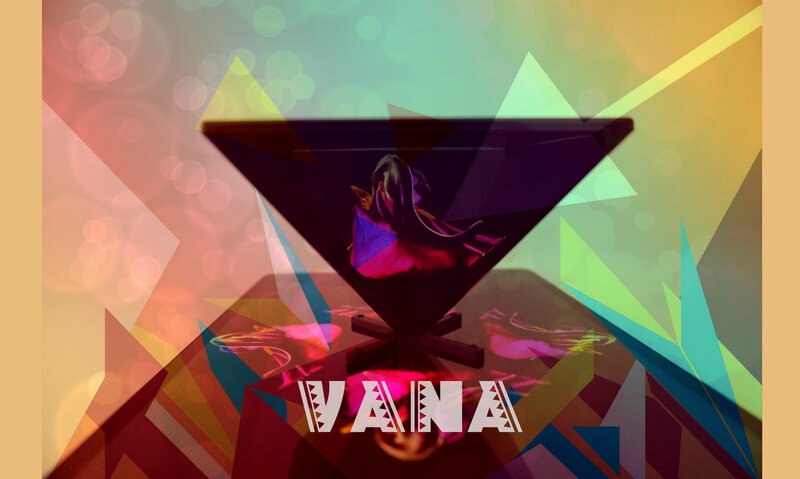 The VANA Pyramid use those powers to preserve your emotions. It permits you to relive your dreams and memories authentically. 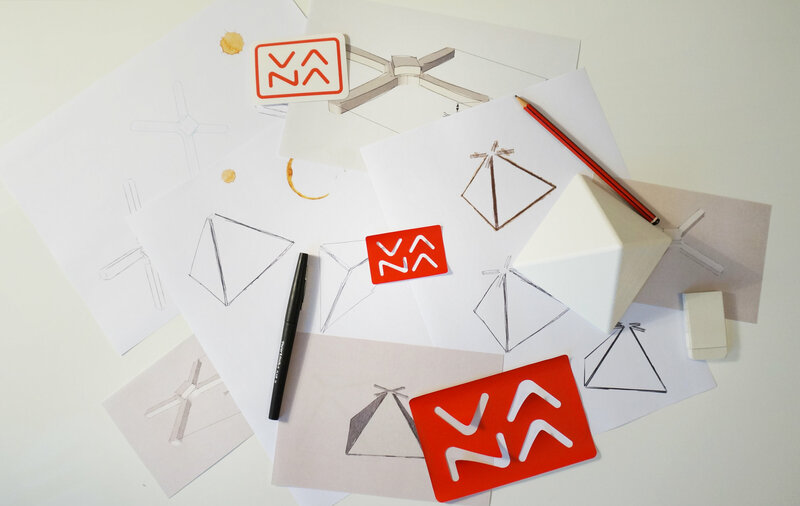 Vana's Design was studied to get a pleasant touch and view, with its selected materials and its clean geometric forms. 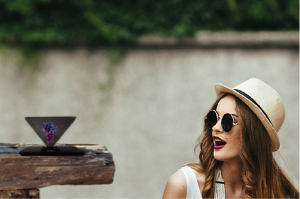 The pyramid is tinted to give you the opportunity to watch your videos under sunlight without losing any quality. The chosen material to make the pyramid has been studied to be robust, impact resistant and to minimize the strip's risks. 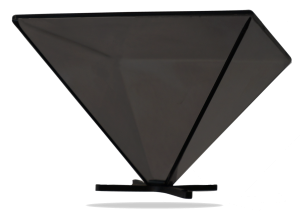 The pyramid's foot is made with an adherant material to avoid a slipping screen scenario, to strip it and flexible enough to avoid breaking under the smartphone's weight or the pyramid. 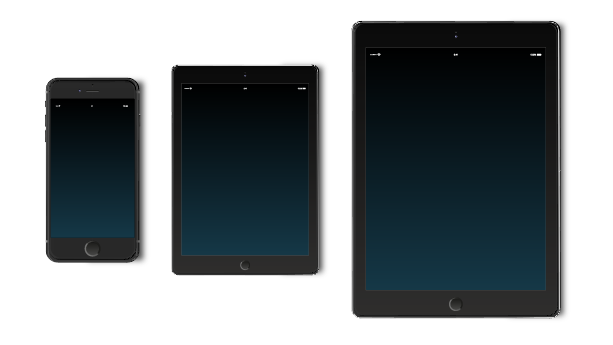 Step 1: Choose a holographic video on your smartphone or tablet from your personal directory or from internet. Step2: Put the pyramid on the screen. Step 3: Start the holographic video and enjoy your hologram. Do not compromise, use your smartphone, phablet or tablet to look at your holograms. 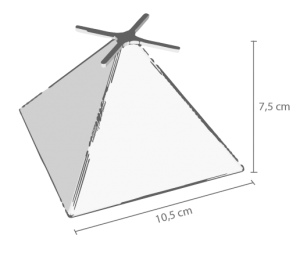 The VANA pyramid measures 10.5 cm in length, 10.5 cm in width and 7.5 cm in height. The perfect size to follow you wherever you go. We made the bet to make everything in France.